I was looking forward to reading Ride Me, the second novel in Rebecca Brooke's Jaded Ivory series, since I first read the blurb for it. I also make no secret of the fact that I'm an M/M romance fangirl, and when an author who's known for M/F romance tries their hand at M/M, I get really curious. 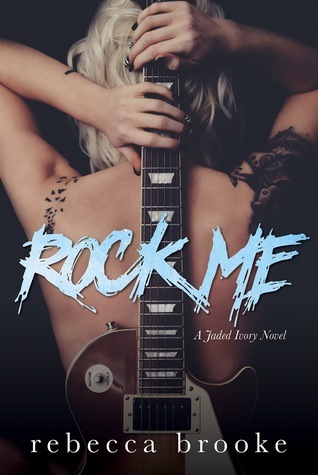 This second book is the story of twenty-six-year-old Sawyer Alason, drummer for the up and coming rock band Jaded Ivory, who has an unexpected reunion with his best friend. It's been seven years since Reagan Setton last saw the guy who had been his best friend since they were children. Sawyer had disappeared without a word after they had graduated from high school, and while Reagan would love to catch up on everything they've missed over the years, what he wants more is an explanation. But how the hell is Sawyer supposed to tell Reagan that the reason he left was because he's been in love with him since he was sixteen? He couldn't deal with the possibility of his best friend's rejection back then, and it's the same reason Sawyer is mum again. Now though, keeping his sexuality secret is a necessary evil for himself and the band. Learn more about Rebecca Brooke. Purchase Ride Me on Amazon | B&N | iBooks | Kobo.